In just a few days, nearly 2000 runners will take to the roads from Horsetooth Reservoir down to New Belgium Brewing. Coming from a total of 35 different U.S. states, armed with swishy running shorts, armbands tracking their miles, and colorful Croakies to hold onto their sunglasses, first time runners and Olympic athletes will have a chance to tackle this challenging race. 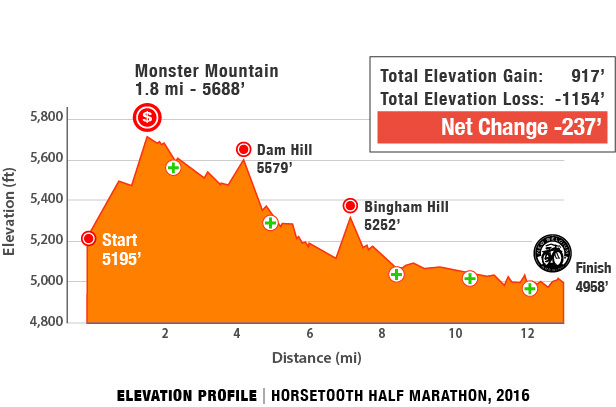 Sunday, April 17th marks the 43rd annual Horsetooth Half Marathon. The run is a brutal, yet rewarding, challenge of inclines and downhill portions that terminates at New Belgium Brewing for an epic after party. A $4000 cash purse sweetens the deal for the more competitive runners in the group. 13.1 miles of hills, valleys, and turns will put their endurance to the test — and Raintree Athletic Club will be right there next to them. As the official training partner of the half marathon and its RunningU training partner, RAC has been assisting in preparations leading up to the event. Packet pickup will be held at RAC on Saturday, April 16th from 12pm – 6pm. Bonus perk: all runners are offered a 3-day membership to Raintree — details inside the packets. If we haven’t convinced you to sign up next year, then consider joining the spectators and after party. Stay for the after party. We’re bringing the noise for that. Check out the vendor tents (including RAC, who knows, we may have some fun stuff to give away), stay for the party, sign up for next year if you’re motivated, and cheer our runners on! New Belgium will be serving beer — free to runners and available to others for a reasonable donation — and hosting live music. What more could you ask for? can also be used as a beer bottle opener? Just another perk to getting out there and running with the pack.